Even on a wet and wild day there is something wonderful about being parked beside the beach, watching the waves crashing and the seagulls joyriding on the gusts. That’s why we kept returning to Greymouth, freedom camping along the esplanade at Cobden and also staying at the Kiwi Holiday Park on the South Beach. 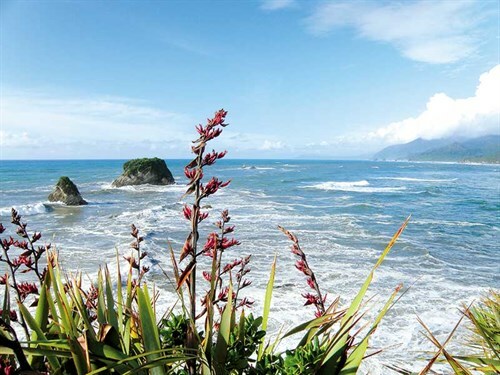 Greymouth, at the junctions of state highways 6 and 7, is a good base for exploring the surrounding area, as well as being a destination in its own right. There is plenty to see in the town, with jade carvers to visit and tempting cafes to eat in. We walked along the floodwall from Cobden Bridge and along the beach to the Point Elizabeth walkway, just two of the many walks in the area. The floodwall walk takes about half an hour, but can be extended to several hours by continuing around the lagoon. 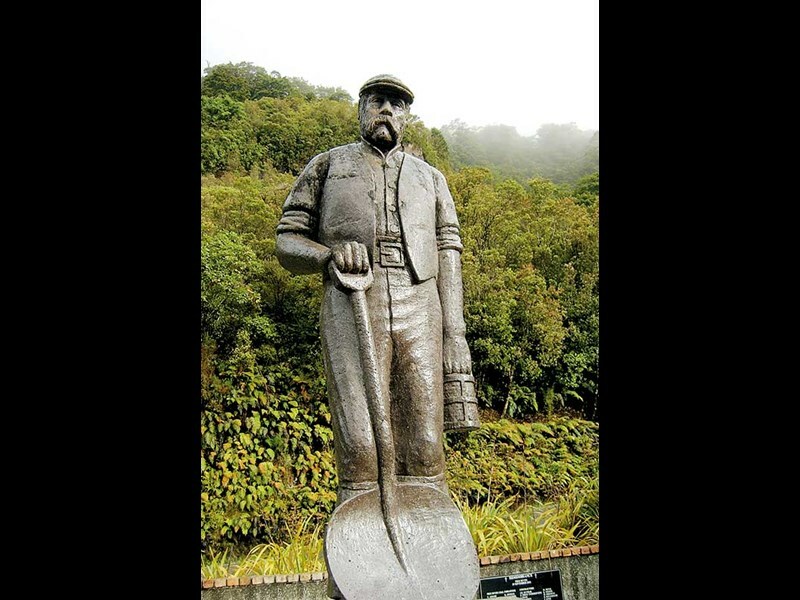 There are reminders of Greymouth’s mining history along the walk with information panels to read. The Point Elizabeth walk takes up to three hours return, depending on your starting point, and passes through coastal forest to the lookout. Maori legend explains that the hills viewed looking south from here represent a giant tuatara drinking from the river. On a clear day there are views past Hokitika to Aoraki/Mt Cook. Greymouth is developing a multi-day cycle track, the West Coast Wilderness Trail. We cycled one of the completed parts, from Greymouth to Kumera. This runs for 30 kilometres along the coast, behind sand dunes and tidal lagoons and is an easy, flat ride. 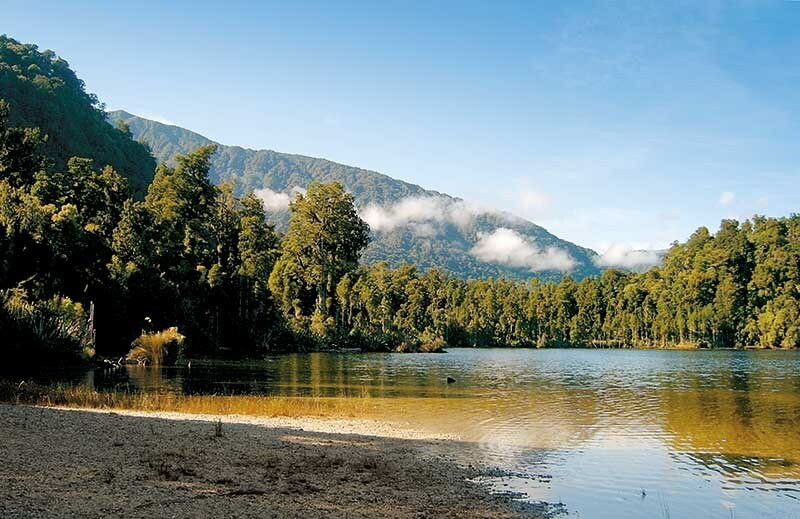 Lake Kaniere is eight kilometres in length and two kilometres-wide. 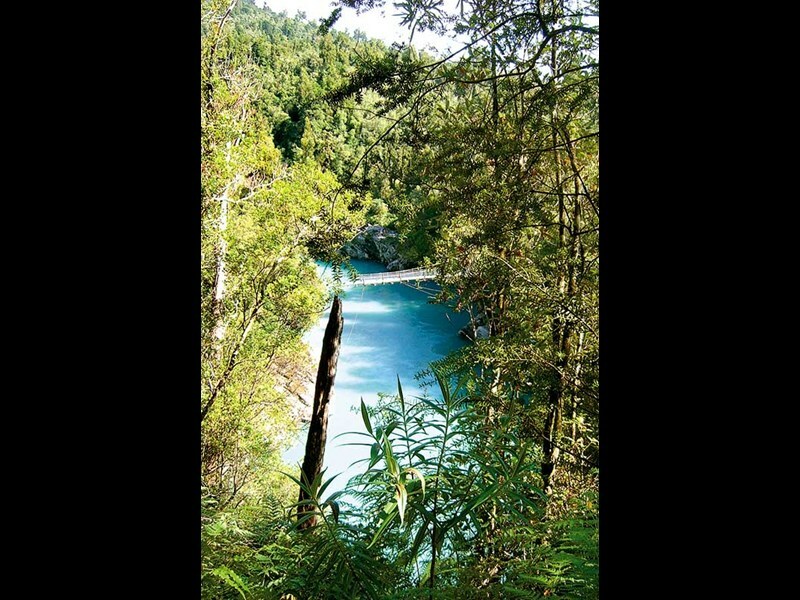 Popular for water sports, fishing and family picnics in mid-summer, the lakeside was deserted when I drove past and I didn’t meet any other vehicles as I drove along the narrow, bush-lined, gravel road past Dorothy Falls, finally emerging into lush farmland near the Hokitika Gorge. 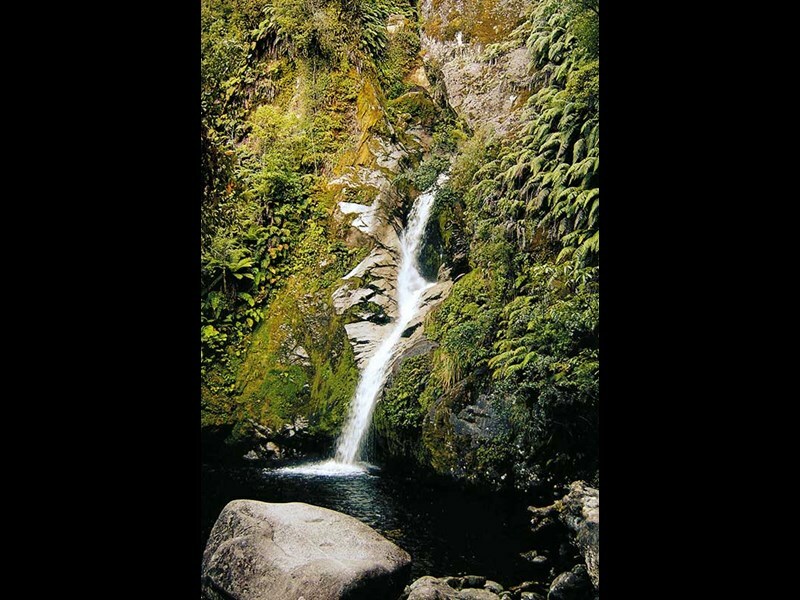 One of the must-dos in the area, the Hokitika Gorge Walk takes about 10 minutes from the small, car park. The viewpoint looks down on the granite gorge and its amazing turquoise waters. A path leads down to a swingbridge over the gorge. It’s a very photogenic destination. 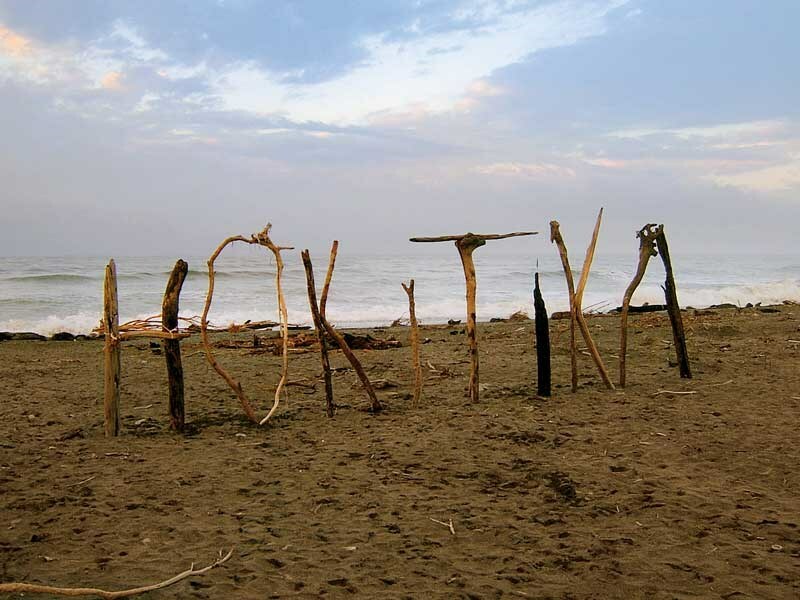 Hokitika is enjoying an upsurge in popularity due to the success of Eleanor Catton’s Pulitzer prize-winning novel, The Luminaries, although I had a more personal interest in Hokitika. In the mid-1860s, the brother of my great-great-grandmother came to seek his fortune in the area. A search of the cliff-top cemetery revealed his gravestone and, in another part of the cemetery, his family. Because he was not a Catholic, he rests alone, far from his Anglican relatives back in England and separate from his wife, children and grandchildren. The Hokitika township is full of galleries and shops. Here you can buy greenstone, gold and silver, glass, pottery and photographs produced by local craftspeople. 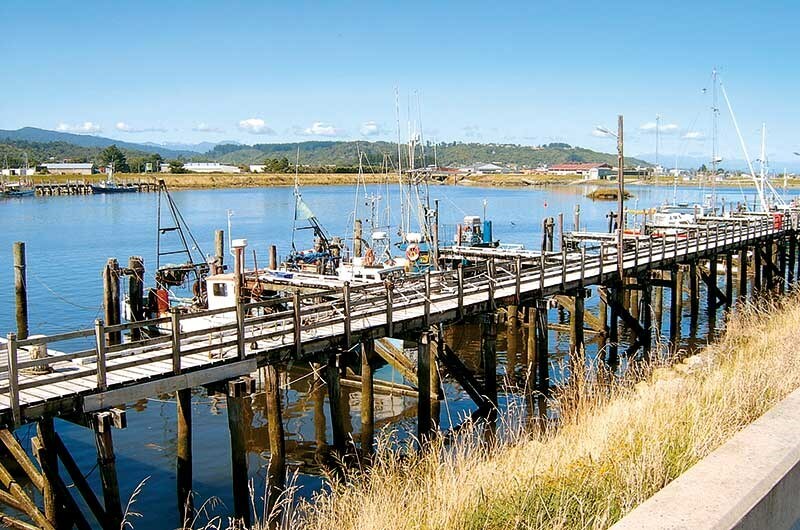 The town is set right on the beach which is another wild, driftwood-strewn west coast one. We drove out to Brunner, 12 kilometres-east of Greymouth, to visit the site of the 1896 explosion that killed 65 miners – all the men who were in the mine at the time. 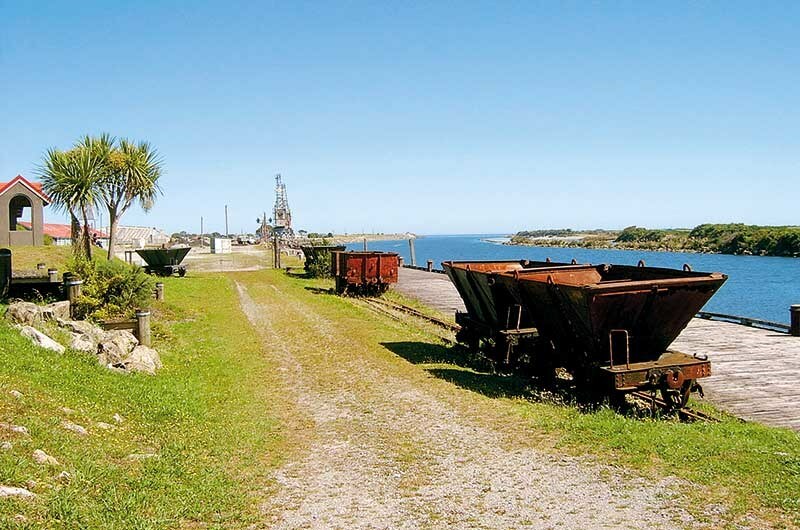 The Historic Places Trust began work on saving and upgrading the mine area in 1978 and today it is a well-developed site conserving New Zealand’s industrial heritage. Before leaving the Greymouth area we drove north to Punakaiki to explore the Pancake Rocks. As usual, the township was crowded with tourists and the visitor centre and tea rooms were doing a roaring trade. There are lots of walks in the area but this time we just strolled around the track looking at the famous limestone formations and admiring the surging blowholes. In stormy weather these can be truly stupendous but we had a calm, sunny visit. Greymouth welcomes self-contained freedom camper vans. You can camp on any council owned land (except Jack’s Road in Paroa). There are two free campervan parks with dump stations and bins. Freedom camping on council land is three nights in one location and no more than 10 nights overall, per month. There are several holiday parks and motor parks in the area. Greymouth’s i-SITE is located at 164 Mackay Street, Hokitika’s is at 36, Weld Street.